Supercropping is a hands-on high-stress training method that’s brutally effective. If the idea of breaking branches strikes you as “Breaking Bad” don’t worry. This supercropping grow guide will give you the confidence and skills to apply the technique properly. There is no one right way to cultivate cannabis for maximum yield. Fortunately, there are many. Supercropping is a proven high yield cannabis growing style. The only must-have for the weed grower is a safe pair of hands to experiment with supercropping. As suggested, supercropping involves causing high amounts of planned stress to your plant to provoke a defensive response. This results in bushier plants with larger yields - thanks to a hormonal response to the damage you cause. This damage is caused by carefully bending branches to damage their inner tissue- without breaking them. Contrary to most other high yield pruning and training methods, supercropping cannot be applied in a hurry. FIM, Topping and LST can begin as soon as plants develop a set or two of true leaves in the early phase of vegetative growth. supercropping requires a little more patience. It’s best to wait until week 3 or 4 of vegetative growth before beginning. Give your ganja some time to develop and reach at least 30cm in height. 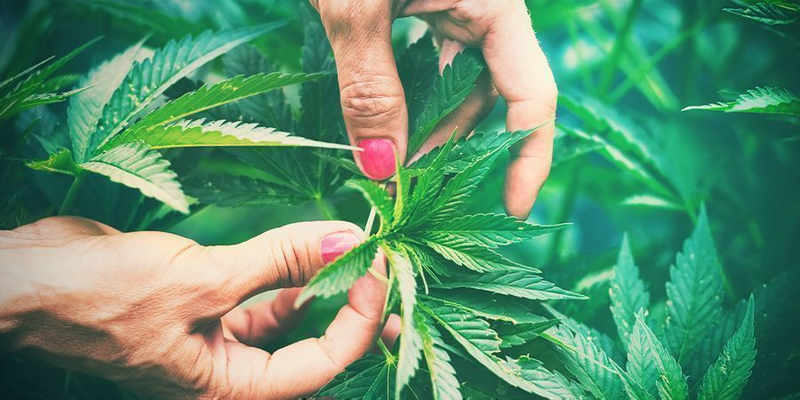 As cannabis plants transition from vegetative growth to flowering, they undergo hormonal changes and supercropping is no longer effective in bloom. Similar, to topping, the plants auxin distribution is manipulated to confuse the plant as to which branch is the main stem. Our beloved cannabis plants grow in size during the vegetative stage. Find out more about the best practices to maintain stable veg growth. Once cannabis enters the bloom phase, its energy is focused on flower production and shoots will no longer be bendy enough to supercrop. Late supercropping is not really a viable option. 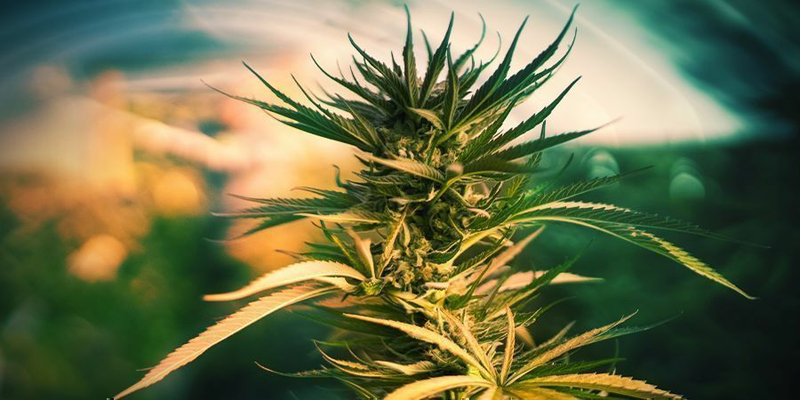 Firm branches will snap and the last thing female cannabis plants need during bloom is stress. Supercropping is literally the handiest cannabis training technique around. If all goes smoothly it can be a simple 2 step process. Worst case scenario a remedial third step can patch up most errors. So let’s get stuck into supercropping. Remember supercropping is best applied during week 3-4 of vegetative growth. Michelangelo stared at marble blocks for hours before he even picked up a chisel. The cannabis supercropper must also be imaginative and visualise the flat canopy before it can be created. You don’t need any tools; aside from the universal grow-op tool duct tape. Examine your plants and identify the imaginary line where you will supercrop along. The still flexible upper regions of shoots are the easiest to work with and will not have grown a thick bark. Grab the branch, always start with a branch rather than the main stem, and hold it between your thumb and forefinger. Gently squeeze the shoot and give it a bit of a wiggle as you apply pressure. Within 5-10 seconds the shoot will feel soft and limp. Just bend it down slowly at a 90 angle. That’s supercropping. Repeat on the rest of the branches and the main stem for squat bushy plants with a flat canopy. A thick “knuckle” will form on the squished area so long as the plant is given a week or two to recover. We suggest beginning with a branch rather than the main stem as a precaution. The first supercrop you make is usually the worst. As you get the feel for the plant you get a better sense of how much pressure to apply. Mistakes are bound to happen, especially if you are Supercropping a large number of plants. Should you snap a branch or main stem and find yourself with a gaping wound instead of a soft pliable bendy shoot don’t panic. Keep that duct tape handy. Patch the wound with a swift field dressing and be more careful with the next branch. Cannabis plants are very resilient and after approximately 10-14 days the wound will have healed enough to remove the tape. Supercropping is hands down the most productive training method that is not reliant upon tools or advanced cannabis cultivation skills. Bare hands and finesse are all that’s needed. Furthermore, when cannabis plants are stressed by supercropping they have the potential to become even more potent. Resin production is part of the marijuana plants response to stress. Plus this technique is especially advantageous to cabinet growers and micro growers with limited grow space. Auto growers will be disappointed to hear that supercropping is unsuitable for autoflowering cannabis plants. LST is a better fit for Auto’s. Supercropping is relatively easy to apply, but plants need a lengthy vegetative growth cycle for the technique to be effective. 6-8 weeks of vegetative growth is common for Supercropping photoperiod marijuana varieties. For larger crops, supercropping can be too labour intensive and a SOG or ScrOG is better suited. That being said, for the patient home grower that requires stealthy low profile productive cannabis plants, supercropping is the perfect method.